If you are relatively new to needlepoint, you may not realize how many needlepoint and craft magazines have included free patterns in their pages throughout the years. To find them, ask your grandmother for her favorite back issues, search garage and estate sales, and even visit your local library for books and magazines with free patterns that you can photocopy. Many bloggers love to share their needlepoint patterns, and thread and needlepoint canvas manufacturers publish free patterns online to entice you to buy your supplies from them. If you have a computer and an Internet connection, you should be able to find the free needlepoint patterns that you are looking for. 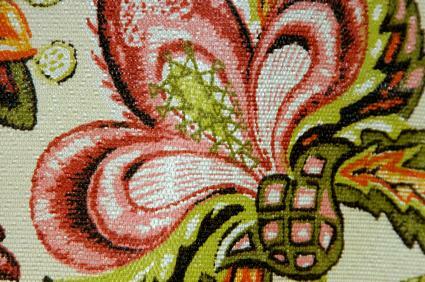 One website, Pic2Point.com, offers a free software program online that allows you to upload your own photo and convert it to a needlepoint pattern. If you want to capture a treasured memory in needlepoint or just can't find the right pattern, this method should solve your problems. It's always fun to decorate for the holidays with your own needlepoint projects. Make Christmas ornaments, stockings, needlepoint pillows, and other holiday needlepoint decorations with free Christmas patterns. If you're really ambitious, try a new pattern for every major holiday of the year. Christmas: You'll find dozens of free Classic Christmas needlepoint patterns from the Krienik thread company. Hanukkah: Check out these two Stars of David and a dreidel pattern to download free, along with Christmas and other holiday patterns. Valentine's Day: Make a Valentine Couple with this chart. Independence Day and patriotic holidays: Decorate your home all year with your Fourth of July and patriotic needlepoint projects using this simple stars and stripes pattern, or download this American Flag pattern. Easter: Download these pretty needlepoint egg pattern. Halloween: Try these seven free Halloween needlepoint patterns including a skull, vampire teeth, and a bat. The Rainbow Gallery has dozens of free needlepoint charts. Free vintage needlepoint patterns may be the easiest style to find, since you can easily search online using Google Books' advanced search feature to specify an exact phrase that describes your ideal pattern. Even if the free pattern you want to use is copyrighted, and most that were published after 1923 should be presumed to be copyrighted, they can legally be copied for your personal use. Searching for just the right pattern in a book or magazine can be daunting, so be sure to ask your librarian for help. Better still, search online for faster results.